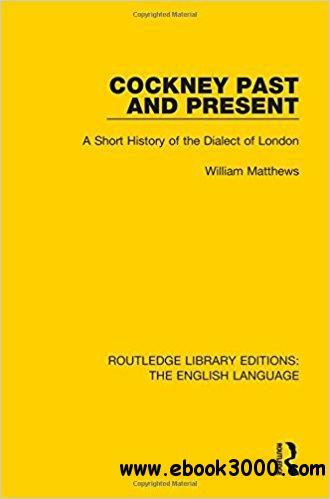 Although Cockney can be considered to be one of the most important non-standard forms of English, there had been little to no scholarly attention on the dialect prior to William Matthews's 1938 volume Cockney Past and Present. Matthews traced the course of the speech of London from the sixteenth century to the beginning of the twentieth century by gathering information from many sources including plays, novels, music-hall songs, the comments of critics and the speech and recollections of living Cockneys. This book will be of interest to students of language and linguistics.